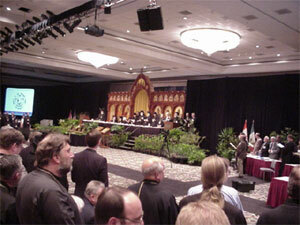 The 13th All-American Council was held July 21 thru July 26th in Orlando, Florida. 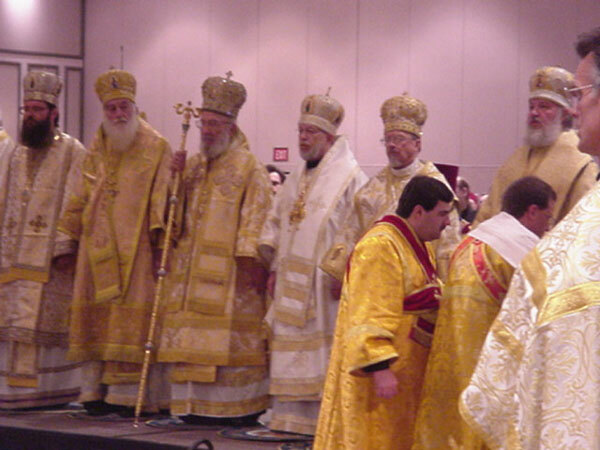 With the retirement of Metropolitan Theodosius, the main focus of the meeting was the election of a new Metropolitan. Above we can see the logo for the meeting. Fr. 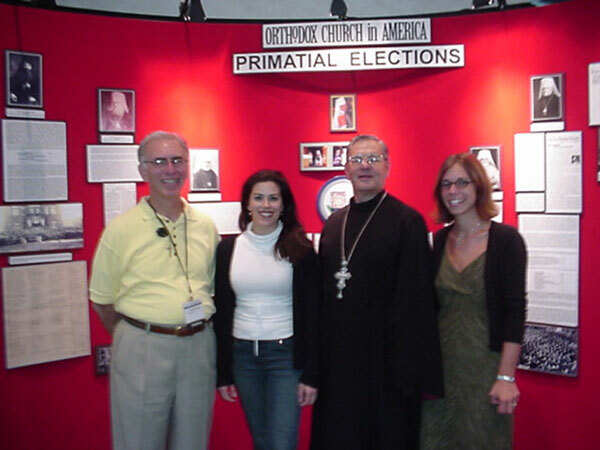 Andrew and Roslyn Stevens our official delegates standing in front of an exhibit about the history of Primatial elections with Lee and Maria Kopulos who came as observers. Above and below we see images from the meeting itself. 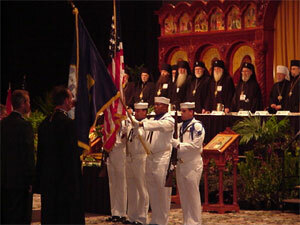 The opening ceremony commemorated the memory of the events on September 11, 2001. 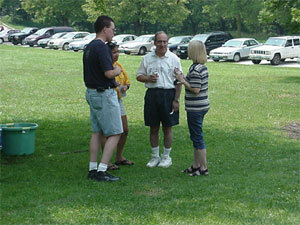 All the delegates were gathered and the meeting proceded. 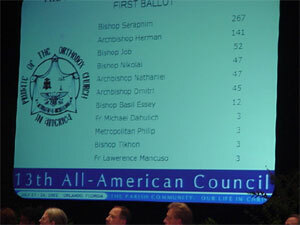 We can see a picture of the results of the first ballot for the new Metropolitan. 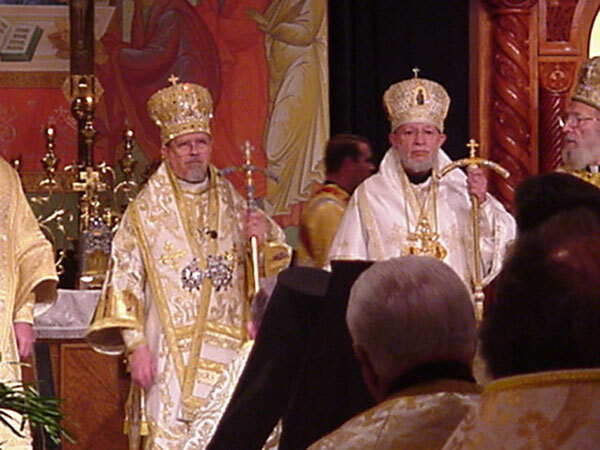 Bishop Seraphim of Canada got the highest vote but failed to get the 2/3 majority. 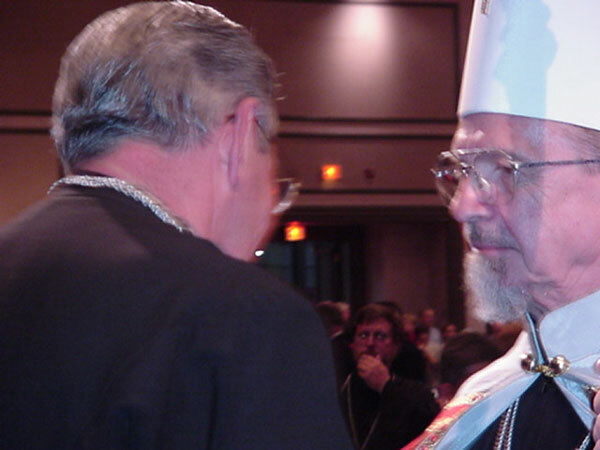 Archbishop Herman of Eastern Pennsylvania was selected by the synod of bishops after the second ballot. Above and below we see pictures from the first liturgy celebrated by Metropolitan Herman with the former Metropolitan Theodosius. 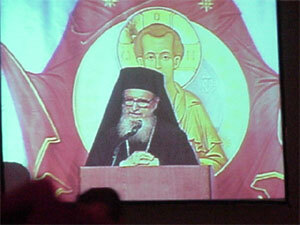 The first picture is of Metropolitan Herman. 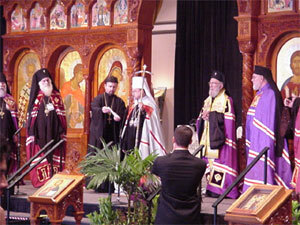 The second next to it is the last liturgy celebrated by Metropolitan Theodosius as Metropolitan. Father Andrew receives a blessing from newly elected Metropolitan Herman. 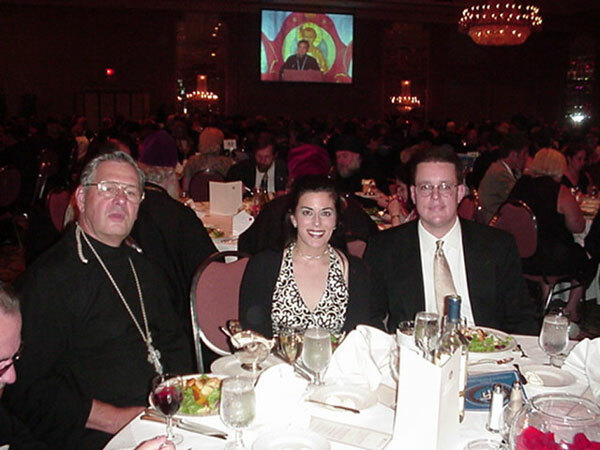 A grand banquet was held honoring the life and work of Metropolitan Theodosius which was attended by Fr. Andrew, Roslyn Stevens and Jerry Kincaid. 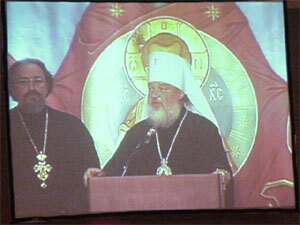 Speakers included Metropolitan Kyril representing the Russian Orthodox Church who admonished the OCA to become a leader of inter-orthodox unity in America and Archbishop Demetrios of the Greek Orthodox Archdiocese of America who spoke about the great humility of Metropolitan Theodosius and about his leadership in bringing about closer relationships with all Orthodox jurisdictions in America. After the dome was hoisted into place, a large Cross was placed on top. 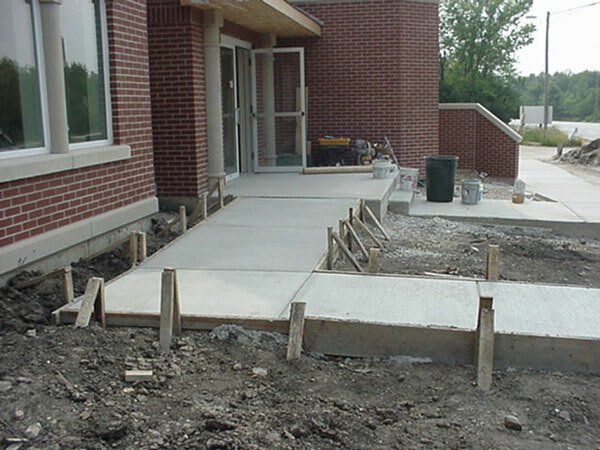 This view shows the completion of the handicapped ramp system. 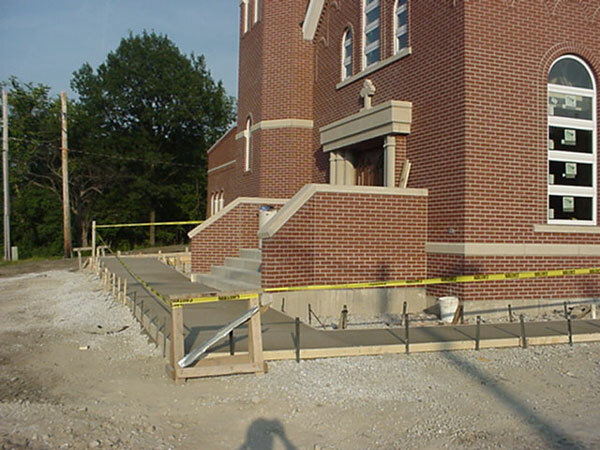 Using the ramps, those with disability may enter the Church without going up even a single stair. 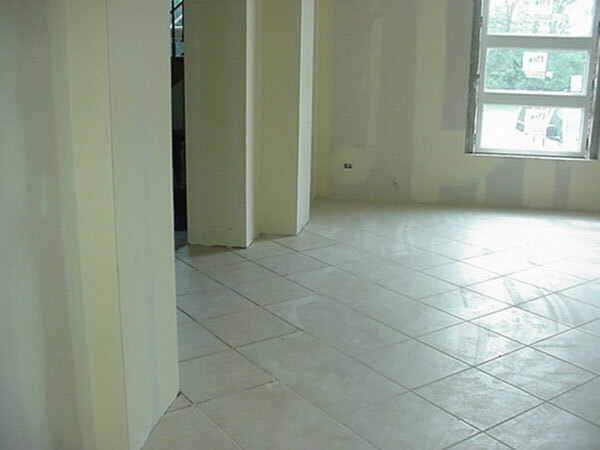 This shows one of the rooms completed with carpeting. 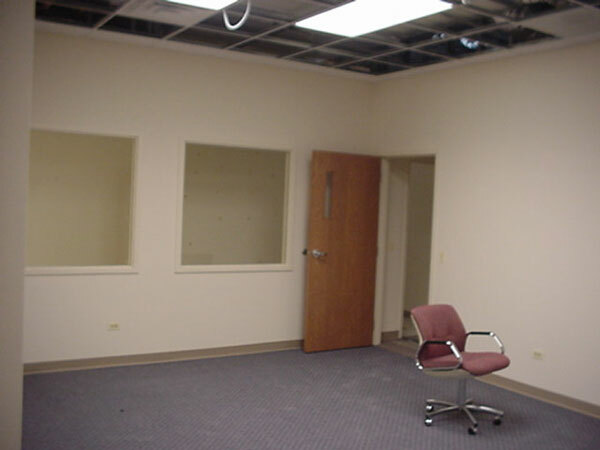 This room happens to be the conference room. The atrium has been tiled and the walls have been taped and drywalled. Painting should begin shortly. This view shows the walls of the center of the bell tower staircase under construction. This week the sidewalks were poured for the new building. 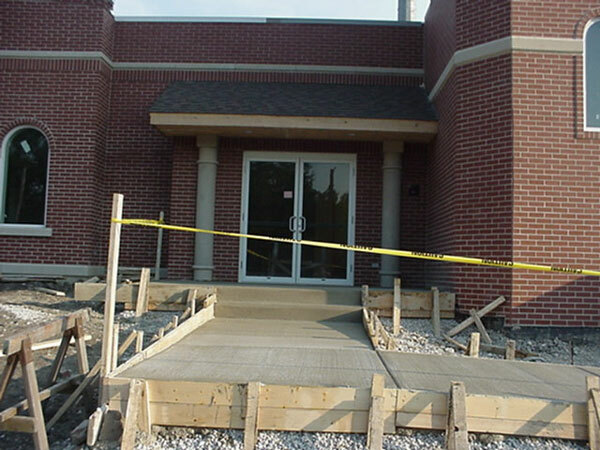 Handicapped ramps will provide access to the main door. 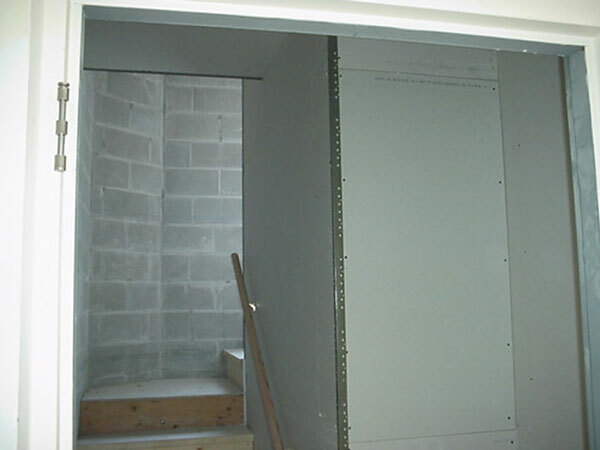 This view shows the inner walls of the stairway inside the bell tower under construction. 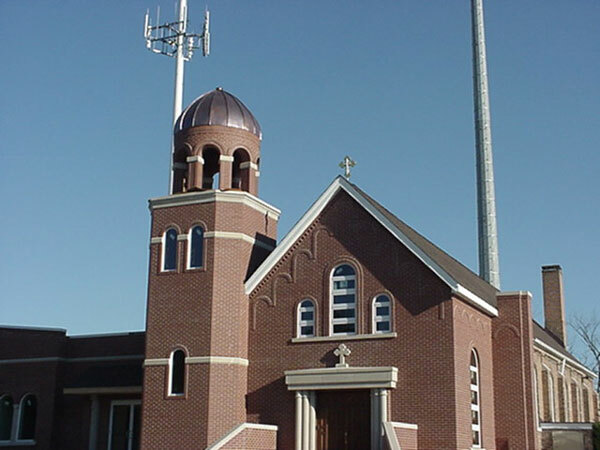 This week the completed dome was placed on top of the bell tower using a crane. The building is rapidly nearing completion and should be done in approximately two weeks. 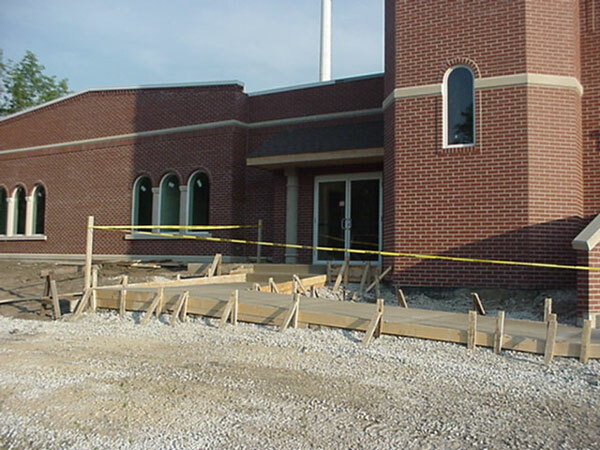 Next week the sidewalks are scheduled to be poured and work will continue on the interior. 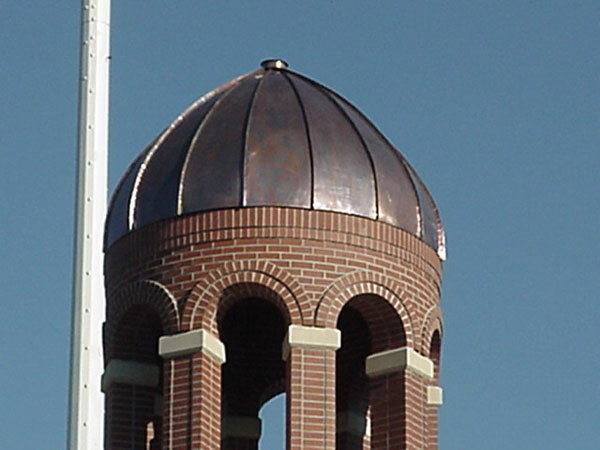 Above we can see an overall view of the building, while below we see a close up of the completed dome in place on the bell tower. 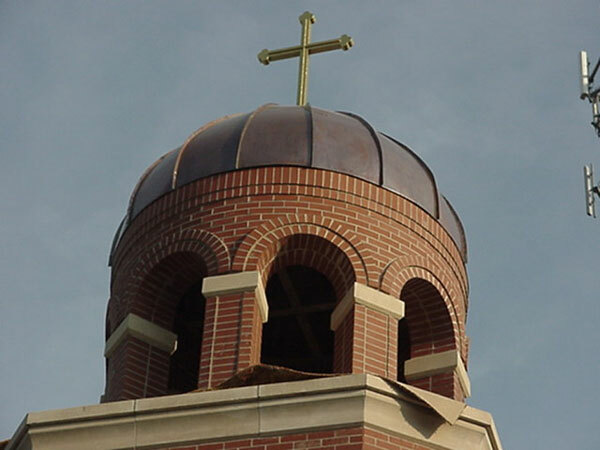 A large Cross is yet to be placed on top of the center of the dome. 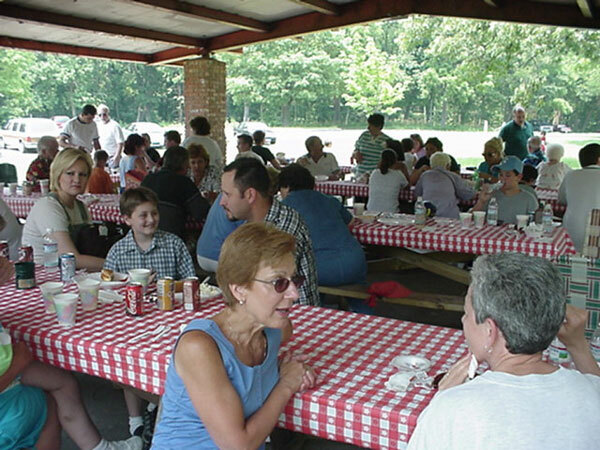 Once again the parishioneers of St. Luke Parish braved the wilderness for their annual picnic. The weather was wonderful and apparently all had a great time. 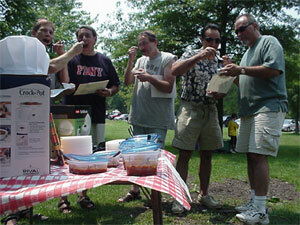 The theme for this years picnic was a Chilli Cook Off. 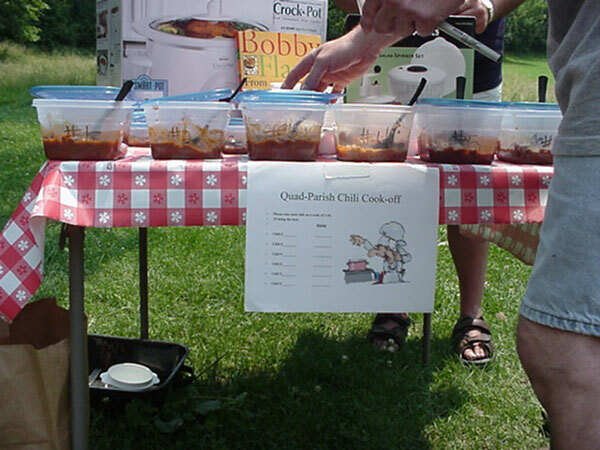 Above we can see the table for the chilli contestants and some of the chilli tasters. Apparently fearing that some of the chilli may have been altered by extraterrestrials, the men in black decided to try the chilli for themselves. 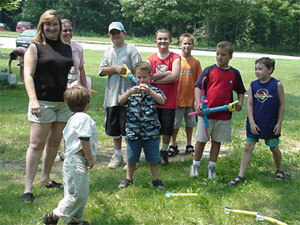 The children unconcered by all this were having a great time on their own. 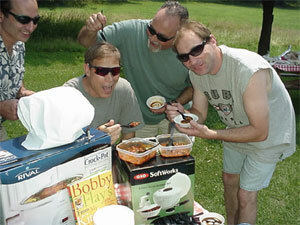 Below one of our young parishioneers decided that his shirt tasted better than the chilli, while still others gather for some quiet time. 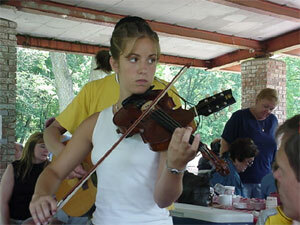 Entertainment was provided by some of our talented youth. 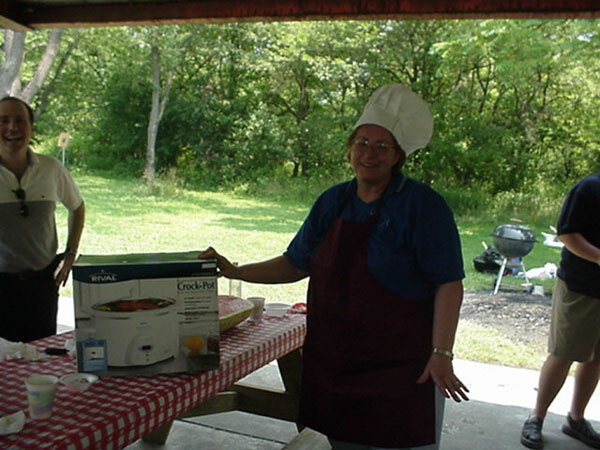 When the dust cleared, the winner of the Chilli Cook Off was announced and awarded her prize.